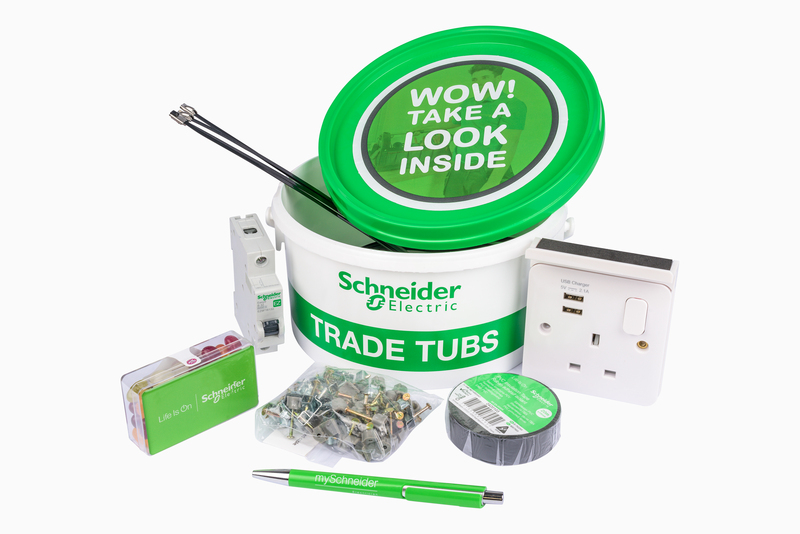 Schneider Electric will be giving away 50 trade tubs on both days of the ELEX trade show this month. The tubs are exclusive to Electricians and contain a mix of samples to help you comply with the 18th Edition and to showcase some of the most innovative products in their portfolio. To receive yours, you need to be one of the first 50 Electricians to the Schneider Electric stand and agree to be contacted by them after the show regarding the Electrician Partner Programme. Existing Electrician Partners will also be able to receive a trade tub if they are one of the first 50 Electricians on the stand.